What Went Wrong with the Farm Bill? After the Senate easily passed a Farm Bill earlier in June, many thought the House of Representatives had the votes in the bag to pass their own version. For 2 years, I’ve been working on farm bill policy, and I’ve got to say, I was looking forward to getting it done and moving on to other things. To tell the truth, I wasn’t even paying much attention to the final House vote, when various expletives from nearby cubicles preceded the surprising news—the final Farm Bill failed in the House of Representatives by a vote of 195-234. In retrospect, it’s easy to see what went wrong, and maybe, the final result is not so surprising. The longer it take to pass a farm bill, the picture becomes more bleak for funding for wildlife and conservation. Photo: Library of Congress, Jack Delano – via flickr. The Senate and House versions of the farm bill were similar in many respects, but the few differences were huge. The House farm bill’s downfall was a major budget reduction to the Supplemental Nutrition Assistance Program (SNAP), commonly know as the food stamp program. The House farm bill cut SNAP by about $20 billion over five years, compared to $4 billion in the Senate. It is no secret that House Democrats and President Obama were not pleased with the cuts, but many believed that the bill would pass and that the Senate and House would work out an acceptable compromise on a final farm bill that the President could approve. However, many House Republicans thought that cuts to food stamps were not severe enough. When Representative Steve Southerland (R-FL) introduced and passed a work requirement for food stamps, some say it was too much to retain support for many House Democrats. Whether or not the Southerland amendment was the straw that broke the camel’s back, the House bill failed spectacularly, with 172 Democrats and 62 Republicans voting against. What does the Farm Bill failure mean for wildlife? It’s not good news. The House bill was a bit of a stinker for conservation, especially when a critical amendment was withdrawn that would have required some minimum conservation practices in return for crop insurance premium subsidies. (Why was the Thompson-Fortenberry Crop Insurance Accountability amendment withdrawn? That’s an interesting tale, so stay tuned for part 2 of this blog, coming very soon.) However, if the bill had passed there would have been an opportunity to improve it in conference between the Senate and the House before the final legislation was approved. The 2008 Farm Bill extension expires in September, so some sort of extension or legislation must pass before certain aspects of the farm bill revert to wacky permanent farm law from 1938. In the meantime, farm bill conservation will pay the price for Congress’s inaction. As long as conservation compliance is not connected to crop insurance, taxpayers are actually paying incentives for wetland drainage, conversion of native grassland, and risky farming practices that could lead to soil erosion and reduced water quality. 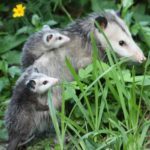 Futhermore, with each passing year that Congress fails to pass a five-year bill, the available baseline of funding for conservation decreases and the picture will begin to look very bleak for wildlife. Farm bill conservation programs benefit millions of acres of wildlife habitat. It is absolutely critical that a five-year farm bill is passed, and that it contains key provisions to protect land, water and wildlife. It is hard to say what will happen next for the farm bill. The Senate version passed easily, had the President’s approval, and was a strong farm bill that contained key provisions for conservation. Could the House adopt a version of the Farm Bill modeled on the Senate bill? Could we avoid the political gridlock by separating SNAP from the Farm Bill? Should they put Tywin Lannister in charge of the whole thing? It is hard to say what could work, but Congress must do something, and citizens need to weigh in and make it clear that the farm bill is a priority. We need a strong farm bill that ensures a safety net for farmers to provide all of us with an affordable food supply, while protecting our natural resources. Stay tuned to see how you can help.